The children who received the helmets attend elementary school. In some cases, school administrators selected students who rode bikes and had no access to a safe helmet. But for the most part, children were sent home from school with a flyer and given the opportunity to sign up for a free bicycle helmet raffle. Children and parents showed up together yesterday at the Easthampton Public Safety Complex. Some of the families came in on the Manhan Rail Trail, a six-mile cycling path which runs through Easthampton and stops at the building. 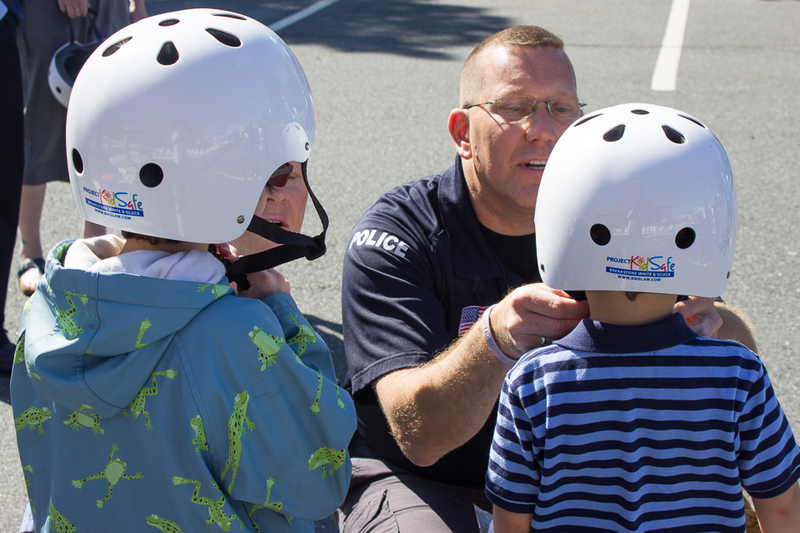 Attorney David White and School Resource Officer Alan Schadel fit the helmets for the kids. 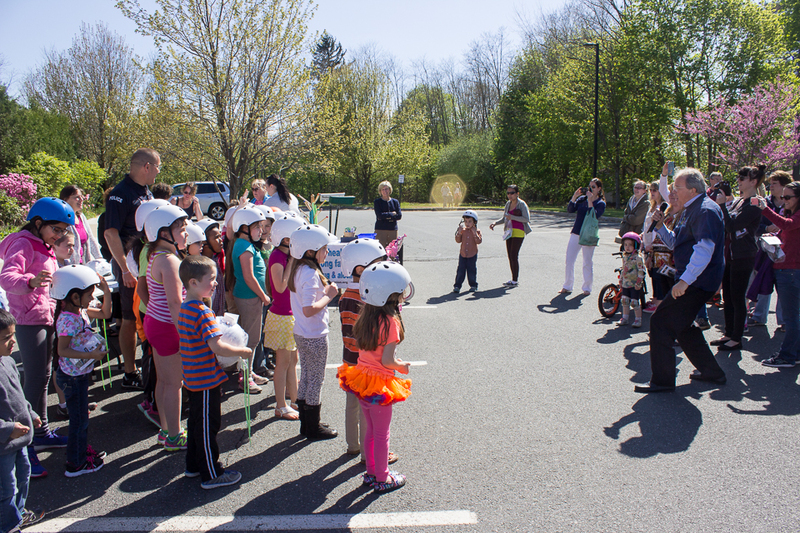 It was a great event because the children and parents were so interested in learning about the proper way to fit a helmet. 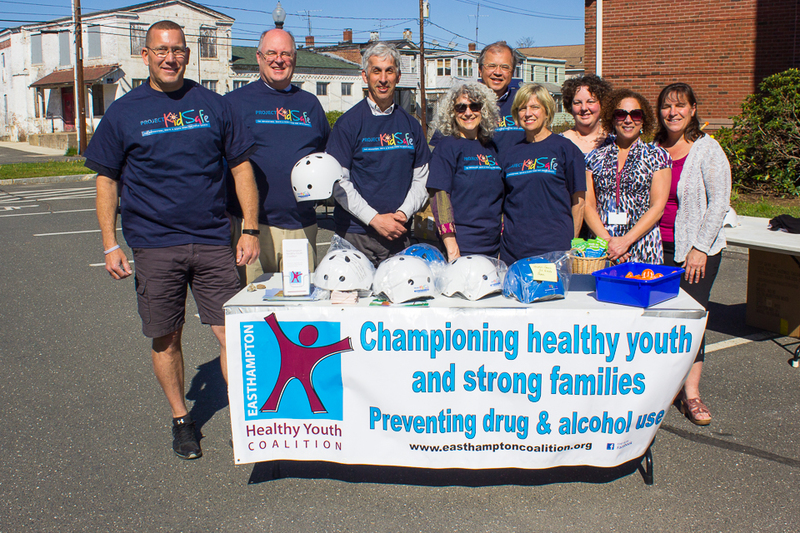 The Easthampton Healthy Youth Coalition offered kids reflectors and other safety accessories to ride safely. 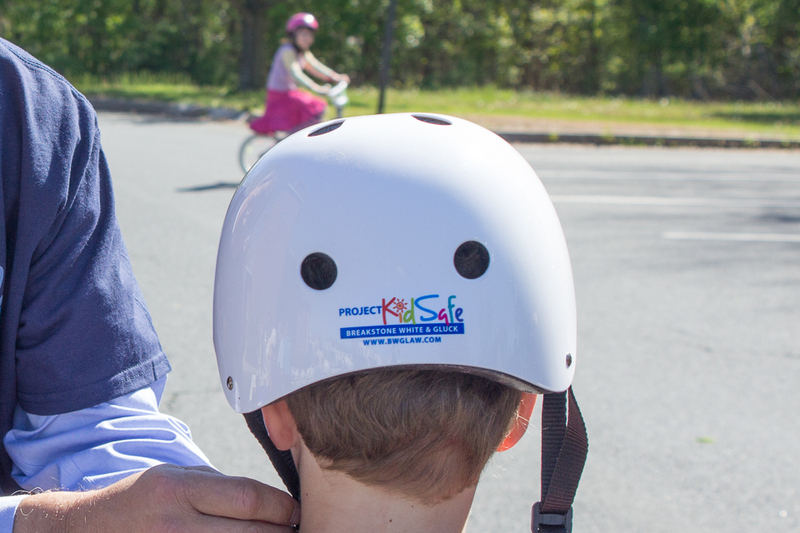 Breakstone, White & Gluck is now in our fourth year of the Project KidSafe campaign and has donated over 10,000 bicycle helmets to children in Massachusetts. 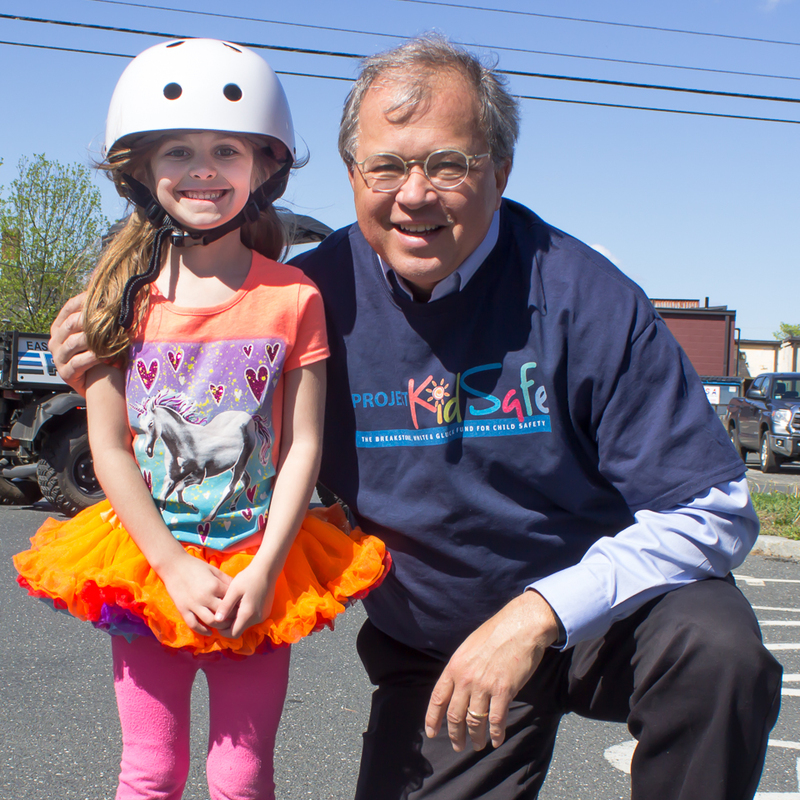 Our goal is to keep children safe and prevent traumatic brain injuries from bicycle accidents. Cyclists of all ages can help protect themselves by wearing a helmet which properly fits, every time they ride. By wearing a helmet, cyclists reduce their chance for head injury by 50 percent, according to the Insurance Institute for Highway Safety. For help fitting a bicycle helmet, watch the video on our website: www.bwglaw.com/bikes. 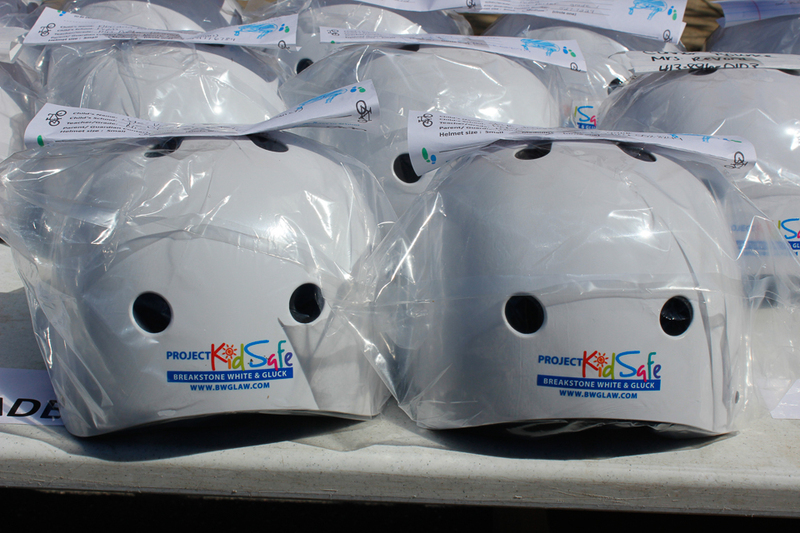 Breakstone, White & Gluck donated 140 of these bicycle helmets to children in the Easthampton public schools. Attorney David White getting the kids excited about riding their bicycles, safely. He asked each child to promise to wear their helmet every time they ride. Attorney David White and a young cyclist who received a bicycle helmet. Easthampton School Resource Officer Alan Schadel helps a child with his new bicycle helmet. Children who needed a helmet signed these flyers to enter a raffle.